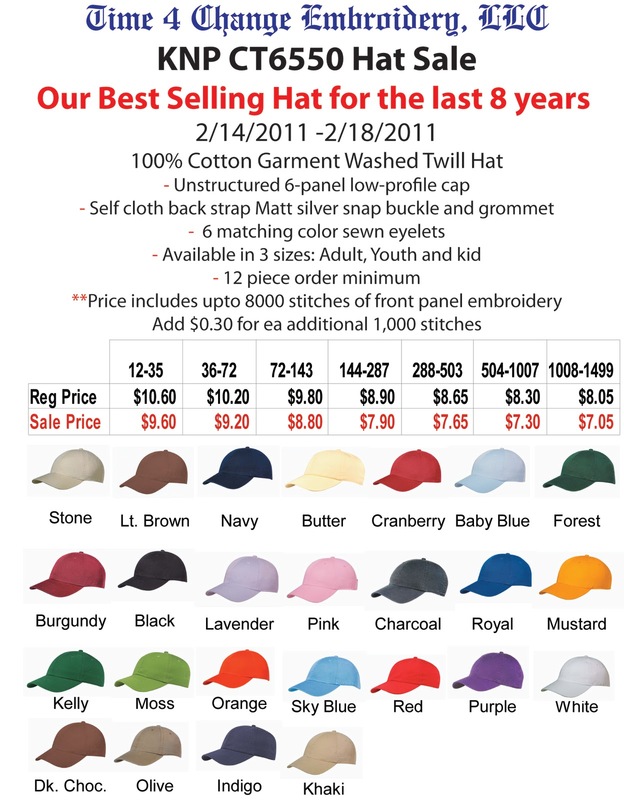 Our Best Selling Garment Washed Hat is on Sale 2/14/2011 to 2/18/2011. 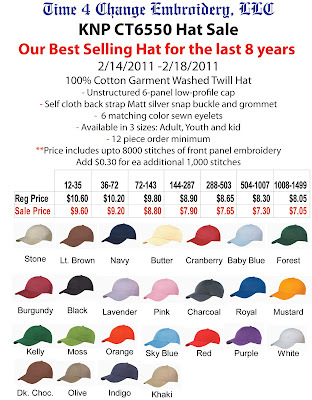 Prices shown include front panel embroidery up to 8,000. One of our best Products at Great Prices!! Call 603-229-3272 or e-mail: info@time4changeemb.com or stop in to order.